The dust has finally settled and everyone has made it home safely from another great weekend at Dumont Dunes. Over 12,000 excited duners headed out to be part of the annual Halloween tradition. Some came out for the thrill of running the dunes while others were just there to party in the stimulating atmosphere of Dumont. If you've been going out to Dumont for a while, you are used to hearing about accidents, arrests, and medical calls when these many people get together on a big holiday weekend. But this year was different. Although law enforcement issued 68 citations, NO arrests were made and there were NO major medical calls. Even during peak duning hours when the dunes had a ton of traffic, our group noticed drivers and riders were very alert, using hand signals (the ones with more than one finger 😁), yielding to others, and just plain playing it safe to avoid any close calls or collisions. These bird's eye views show how the camp area was loaded with circles of campers. Even during the day when temperatures were in the 90's, Comp Hill was full of people! Vendor Row was slightly smaller this year, but shaved ice and ice cream vendors stayed busy serving up stuff to keep everyone cool. When it came time to trick-or-treat, the camp decorations went up and everyone got into their costumes. It seems many groups try to one-up each other (or themselves) each year which is great! Everyone really gets into the Halloween spirit out there, especially the Romo Motorsports camp. They all dressed up in wacky inflatable costumes. Some hit up camps the old fashion Dumont way and a large crowd gathered at the 2nd Annual Trunk or Treat put on by Friends of Dumont Dunes and the BLM. It was much more organized this year and the organizers and LEOs did a great job of keeping it safe. Over 5000 people showed up. The costume party continued at Comp Hill at night especially when a dance stage, complete with lights and music, was trailered over. It drew quite a crowd but eventually came to a halt when law enforcement shut it down. 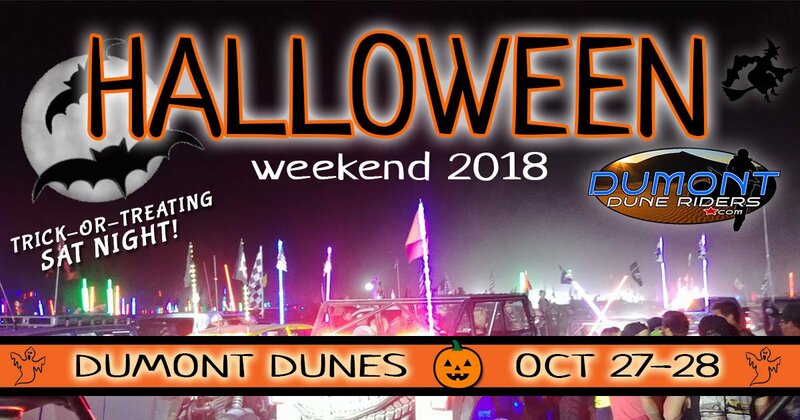 Halloween Weekend kicks off the 18/19 dune season at Dumont Dunes. With the cooler fall weather arriving, thousands of duners will be heading out to the dunes to celebrate the first big holiday weekend on Oct 27/28th. Although Halloween is officially Oct 31st (Wednesday), trick or treating is a Saturday night tradition at Dumont. So be prepared with a bucket of candy to hand out to the little duners and get into the Halloween spirit with your costumes and decorations. It's probably one of the most festive weekends of the season. The last two years have been some of the biggest turnouts in years. With all the extra excitement it's easy to get carried away out there so don't forget about the 15mph camp speed limit and general rules of Dumont. Look out for each other, keep your head on a swivel, and practice safe duning! We want everyone to have a fun weekend out there without anyone getting hurt. Friends of Dumont Dunes plans on doing their Truck or Treat again. Stay tuned for more details as it gets closer! 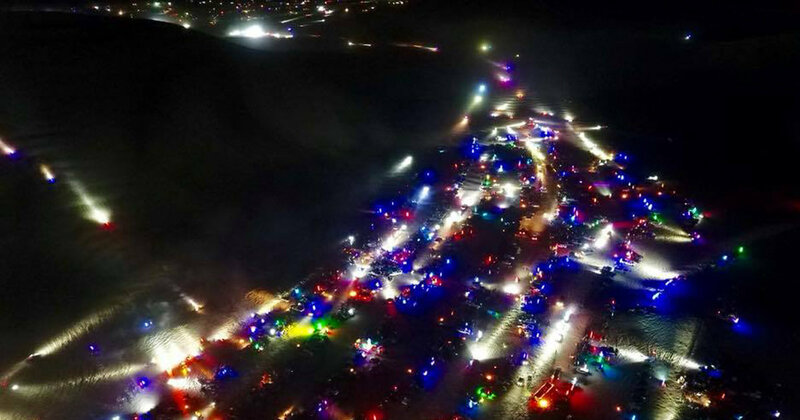 Whether you are partying at comp hill, trick-or-treating from camp to camp, or cruising down vendor row or through the dunes, it's always fun to light up your ride! 1) LED whips are a must have these days! 2) You can use battery-powered lights to decorate your UTV, buggy or ATV. Go with orange, purple, or both! 3) Hang some Halloween colored lights on your RV or toyhauler. If you plan on visiting Dumont any time between Oct 23 thru Oct 29th, you will need a holiday pass. 2. You can also purchase a weekly pass from the self-serve machine at the Dumont entrance. Find where you'll be camped on the map and send this map with the coordinates to your friends so it's easier to find each other when headed out. 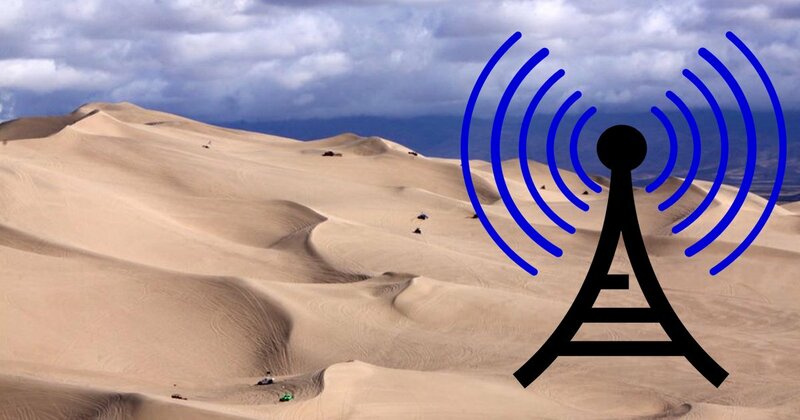 For years, Dumont Dunes has had little to no cell reception. The closest cell tower is 10 miles away at Ibex Pass, which is not capable of handling the crowds that Dumont sees on a busy holiday weekend. The tower gets overloaded and even if you have full bars, your call most likely won't go through. On the non-holiday weekends, you can get decent service, but you have to be in just the right spot and have Verizon. If you have AT&T, the top of Comp Hill sometimes works. If you have any other service, you can't even make a call. This poses a serious problem for emergency situations. If someone needs help, the amount of time it takes to drive down to where there is good service may mean the difference between life or death. Well, all of that is going to change for the users and emergency personnel of Dumont. On September 5th, Katrina Symons, the Barstow BLM Field Office manager, signed the approval of a proposal that has been in the works for the last 6 years for the construction of a cellular tower to be constructed out at Dumont. 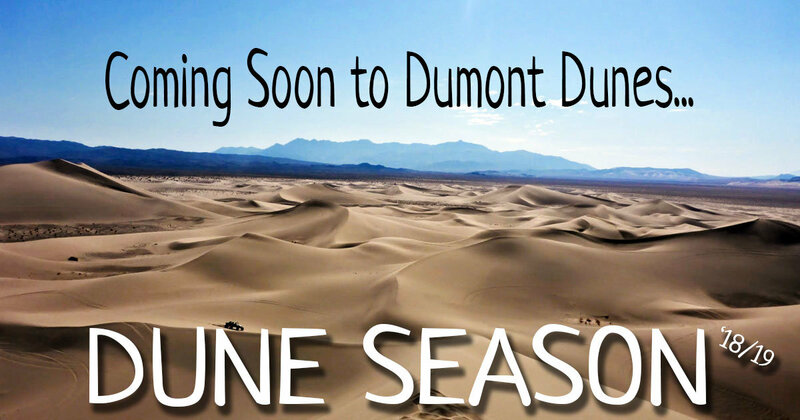 We were thrilled when The Friends of Dumont Dunes had this exciting news to share today. Tom Gammon, Founder/President of InterConnect Towers, confirmed the project's approval and also stated that this is the largest and most complex cellular tower he has ever seen in his career! It will be located between the Southern point of the dunes Southeast of the Area of Critical Environmental Concern. It will be a shared AT&T and Verizon tower holding a complex network of SIXTEEN antennas! With an overall height of 195', it will provide much-needed coverage for the highway corridor along with the Dumont Dunes OHV recreation area for visitor entertainment and will be crucial to public safety. Groundbreaking starts in only 10 days and the project is scheduled to be completed by November 20th of this year. Many thanks to the Barstow BLM for getting this approved! 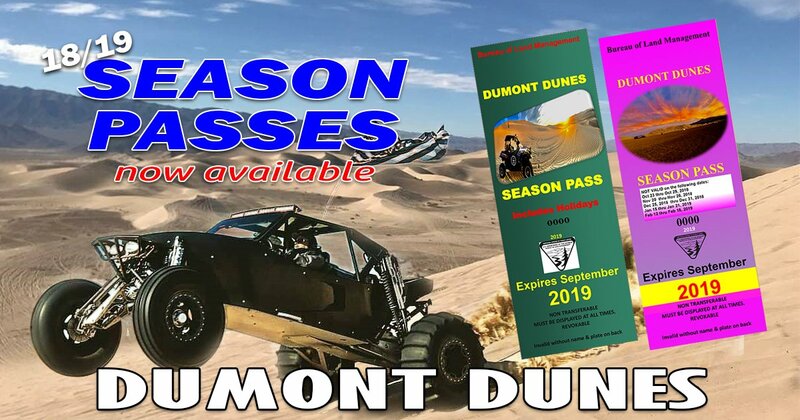 2018/2019 Dumont Dunes season passes are available through the BLM. Passes will also be available through participating businesses. Call for availability. A complete business list is on the Dumont passes page. As summer slowly crawls to an end, fall is not too far off. The mornings are getting cooler and the triple digits will no longer be lingering at Dumont. Before you know it, dune season will be here! The season generally starts mid to late October, depending on the weather and how anxious some duners get. Halloween weekend, Oct 27-28, is the official kickoff for the season and you'll want to make sure you are 100% ready. Here are a few pre-season tips for things that often get overlooked. Test batteries and check water levels. Also, check your connections and cables Run your generator for 30+ minutes and check it under a load. Make sure it is charging your batteries. Turn on your fridge and make sure it works under both 12V and propane Inspect tires for cracks or separations and replace if needed. Drive your RV or pull your trailer around town 10+ miles at highway speeds and check afterward. check trailer suspension shackles for excessive wear. Removal of a nut may be required to see if the holes are stretched Check and top off propane levels. Inspect those hoses for leaks. Check all bulbs and electrical items to make sure everything is working properly Stock up on necessary pantry items. Don't forget TP & holding tank chemical! Wash sheets/ blankets Don't forget that RV TP! Test/ replace battery clean air filter fresh oil change and check all fluids check and/or replace drive chains/sprockets or belt (RZR) check and/or replace brake pads Make sure all sand tires hold air. Air them up and recheck them after a few days. Add tire sealer if needed. Make sure registration is up to date and you have a good flag ready to mount. Check all lights. Don't get popped for a ticket at night for inoperative lights. Season pass. Passes will be available late-September. Call the BLM at 760-252-6000 to order or visit a participating dealer. Season passes are not available at Dumont. Flags for all toys stock up on firewood beer Don't Get Stuck! When is Halloween Weekend 2018? Many people are already planning for next season. With Halloween landing on a Wednesday this year, there has been some confusion as to what weekend is the official "Halloween Weekend" at Dumont. Halloween weekend kicks off the 2018/2019 Dumont season on October 27-28, 2018. It is always the last weekend of October. So start your planning now! The 2017/2018 dune season has unofficially come to a close and there have already been a handful of days touching that 100-degree mark on the thermometer. This may make you unbolt your paddle tires and hit the lake instead. However, springtime at Dumont still offers many perfect-weather days to go out and enjoy the dunes. You can still catch a cool weekend if you watch the weather forecast. Many days have highs in the 80's and 90's. That sounds warm for the dunes, but what that means is beautiful mornings in the 60's and 70's. Wake up and be the only one making tracks in the sand then hang out in the shade or dip your feet in the Amargosa River (if there is water flowing of course). Then once the sun has cast some shadows the other direction, get another run or two in before enjoying a quiet night under the stars without any neighbors blasting their music or scaring your dogs away with their fireworks. My point is don't hang it up quite yet! If you are already having sand-withdrawals, there still is a cure. Just don't wait too long because before you know it, the overnight lows will be 105°. Take advantage of the empty, smooth dunes while you can. Keep in mind that while Memorial weekend is not considered a popular Dumont holiday weekend because of the warmer daytime highs, there are usually still some die-hard duners still making a weekend out of it. Get out there and shred! Tips for duning "out of season"
Every March, the dune season at Dumont Dunes is winding down and coming to a close as temperatures begin to rise. The big holidays like Halloween and President's Weekend have come and gone. Dried up trash and remnants from the season linger in the creosote bushes surrounding the camp area. They weren't left there on purpose, but accidents happen and mother nature can blow these items out of camp without notice. Just like the morning after a big house party, the people who made the mess are long gone and it has since been forgotten about. Luckily Dumont still has a large group of people who call this place home. They take care of it like it is their own. Twenty years ago or so, a small group of duners started the cleanup. It was a grassroots effort with these types of caring people who got the ball rolling. 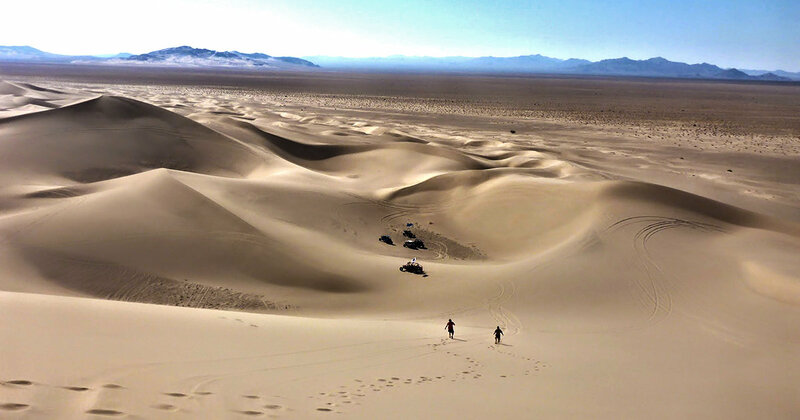 Soon to follow, the non-profit group, Friends of Dumont Dunes, was formed. 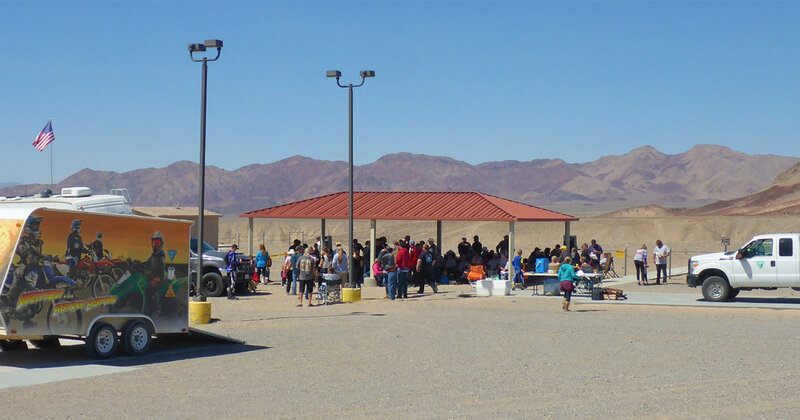 In conjunction with the Barstow BLM and the dedicated users of Dumont Dunes, the cleanup has become an annual tradition ever since. Picking up trash isn't anyone's favorite thing to do, but as a group effort and with the help of some generous sponsors, it has turned out to be a fun event where friends and family come together for a great cause. Volunteer Sign Up Motivated and helpful volunteers showed up at the ranger station at 8 AM to sign up, grab some trash bags and a wristband. Trash Collection Duners spent the morning cruising around camp on their quads, RZRs and, buggies cleaning the place up. The weather cooperated most of the morning with cool temperatures, but then the "W" came on strong and made things a little difficult. Winds whipped across the camp area making it a bit annoying. Jodi Knight, aka @sand chick, was posted up at the dumpster giving out raffle tickets for all trash bags that were turned in. She toughed it out and her time and participation were greatly appreciated. Lunchtime! With the huge gusts of wind, I was worried Jason would have trouble cooking up all that food for everyone. We headed over to the ranger station at noon and wouldn't you know it, Jason had already come up with a plan and had it covered. He blocked the wind with his trailer and moved the lunch assembly line into his enclosed trailer. This guy is unstoppable! We all jumped in and lent a hand where it was needed. Rather than the usual hotdogs, Jason cooked up over 100 lbs of tri-tip. This meant getting up at 5 AM to smoke the first batch of meat. With everyone's help, all the volunteers were fed! Lunch included a tri-tip sandwich, beans, corn, chips, and cookies. The area around the ranger station quickly became an offroad parking lot as everyone arrived! Quick Draw Thanks to some amazing sponsors, many prizes were donated and raffled off. This always adds a bit more fun and excitement to the day. Plaques were given out for the following... With a little help from Mother Nature, there was a break in the wind for a couple hours. Prizes were flying and smiles were everywhere. This is what it's all about, getting the dune community together for a good cause and having fun doing it. We're all in this together. Events like this don't happen without a group effort. Friends, family, and partners from all groups including Dumont Dune Riders, BLM, Friends of Dumont Dunes, and the users of Dumont Dunes joined forces to keep our playground clean. A big THANKS goes out to everyone who participated in the cleanup event! Special thanks to... Jason Ardenski, president of Friends of Dumont Dunes The Friends of Dumont Dunes Board Members The Barstow BLM Staff Kay & Tom Ardenski Jodi Knight & Mike Green Heather Siders & Jimmy Lynn John Slapper And of course, all of the kids that helped too (Alexis, Tatum, Libby, Amber & Gavin)! Dune season isn't over yet! Easter weekend is March 31- April 1st. It's the last holiday of the season and the weather is cooperating in favor of duners. The weekend forecast is calling for mid 80's and sunny. 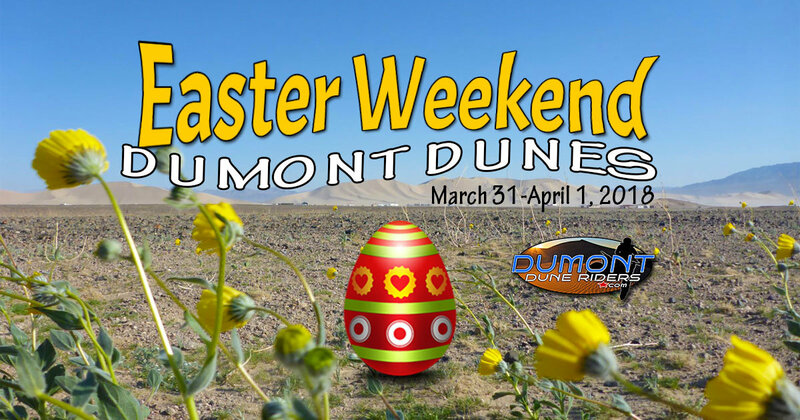 Easter weekend at Dumont Dunes isn't a busy one, therefore it's a great time to get out and appreciate the sand before the triple digits set in. 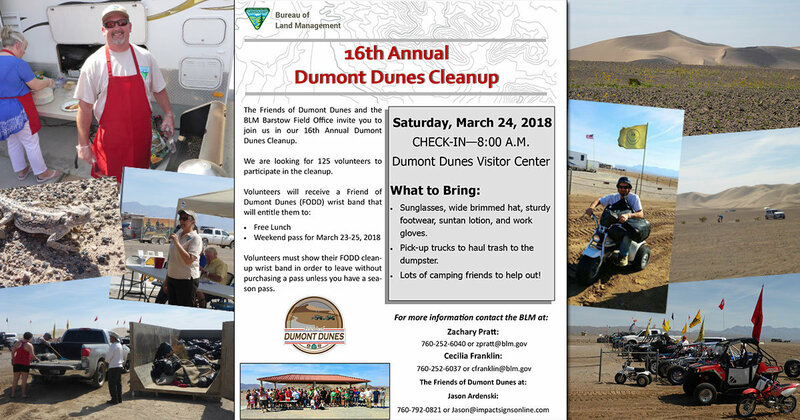 The Friends of Dumont Dunes and the Barstow BLM are hosting the 16th Annual Dumont Dunes Cleanup on Saturday, March 24th. Cleanup starts at 8:00 AM. Come out and give back to the place we all love so much. Volunteers get free admission to Dumont for the weekend and lunch will be served. Trash bags and gloves are provided by the BLM. 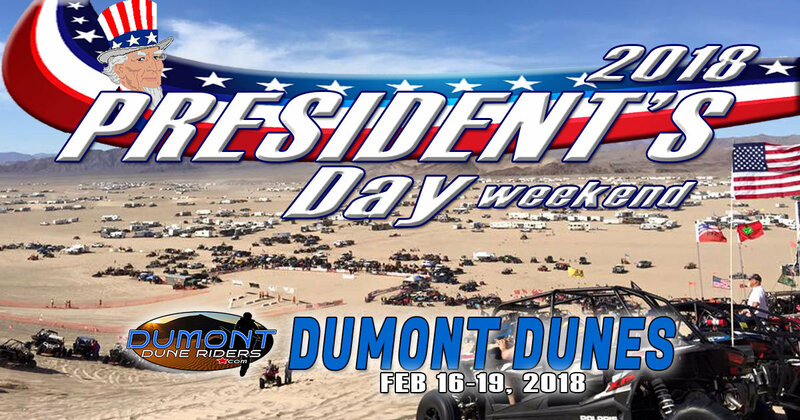 President's Day Weekend is coming at Dumont Dunes! Since the early 1970's, the Las Vegas Jeep Club has been hosting their annual Jeep Jamboree at Dumont. This event, consisting of hill climbs and drag races, has been one of the reasons so many duners have made President's weekend a 46-year tradition. Come watch some of the baddest Jeeps, trucks, and dragsters compete at Dumont. President's Weekend is always a busy one so don't forget to keep your head on a swivel and watch out for each other. Vendor Row should is usually full and Comp Hill is always lit at night. Be sure to stay legal because the Rangers will be out in full force keeping everyone in check. If you need a refresher, here is a list of the rules and things to look out for. Holiday passes are required from Feb 13 thru Feb 19, 2018. If you don't have a holiday season pass, you can purchase a $40 weekly holiday permit at the entrance from the machine or you can grab one from a participating off-site vendor. See a full list here. If your OHV isn't registered in your home state, don't forget to grab a CA non-resident use permit sticker too. Dune Mart on vendor row and the Dumont visitor center sometimes have them on hand. Everyone have a fun, safe weekend out there. As always, send us your dune reports and use the hashtag #dumontduneriders on Instagram. We'll do our best to feature your photos!